First unveiled in 2010, the Green Deal is a revolutionary never-been-done-before scheme which is set to dramatically transform the energy efficiency of around 14 million poorly heated and draughty British homes by 2020. With carbon emission levels and energy bills rising out of control, homes and offices across Britain are badly in need of an energy efficiency makeover. And that’s where the Green Deal comes into play. The future of UK energy efficiency, the Green Deal has been heralded as the biggest shake up in the history of energy efficiency. And with good reason. Combined houses and business premises across Britain throw away up to £3 billion of energy every year. And that is largely due to poorly insulated properties, thermostats used inefficiently and appliances left on standby. Which means the majority of homes and businesses are spending far more on electricity and gas than they actually need to. Did you know that households account for a quarter of the UK’s carbon emissions? With a similar amount attributed to British businesses, the country needs to become much more energy efficient if it is to reduce its greenhouse gas emissions to combat climate change. While cutting carbon emissions is high on the Green Deal’s agenda, cutting energy bills is also a priority. As energy prices continue to rise, and households and businesses struggle with ever increasing energy bills, the Green Deal is a considerable step forward when it comes to making the UK’s energy supplies more secure. It also has the potential to support tens of thousands of jobs, meaning insulation installers, manufacturers and other professionals will all stand to benefit, including many small businesses that have been effected since the start of the economic recession. But it’s not just homeowners and businesses that will benefit from the Green Deal. The scheme will give welcome relief to tenants in rented properties, as it will force landlords to make their properties more energy efficient. Changes to the Energy Bill mean that by 2016 landlords will not be allowed to rent out draughty or inefficient homes. The Green Deal will crack down on landlords who rent out these types of properties and will also make it easier for tenants to demand energy efficiency improvements. The Department of Energy and Climate Change (DECC) is especially keen to encourage the take up of cavity wall insulation and solid wall insulation. The hardest to treat properties are those with solid walls and it’s this type of insulation that is particularly expensive – it can cost anywhere between £5,000 to £10,000. As it stands only 17,500 out of the country’s 6.6 million homes are insulated each year. Backed by £200 million of funding, for the Green Deal to be successful it will need careful facilitation by the Government to make sure it benefits consumers. Ultimately, the deals will need to be made attractive enough to encourage people to sign up to the voluntary Green Deal scheme. Initially, you’ll need a Green Deal assessment of your property. A Green Deal assessor will visit your home to conduct a survey which will determine what home measures are needed to improve its energy efficiency and how much you will be able to “borrow” (up to a maximum of £10,000) to get the work done. This amount will depend on a variety of factors including the size of your home, the number of occupants, current bills and estimated savings achievable once the improvements have been carried out. 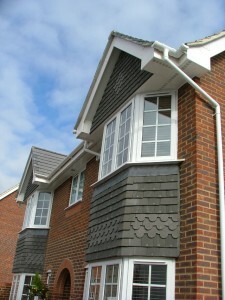 An EPC – Energy Performance Certificate – will also be required and this will be central to your Green Deal Plan. Some companies may charge for an EPC while others will do it for free on the condition that you use their services to do the work. Once the assessor has advised what home improvement measures are going to be suitable – and not least that they meet the Green Deal ‘Golden Rule’ – the next step is to source quotes from installers to get the work done. Installers can be big nationwide companies to small one-man bands, but whether you chose to use your local plumber of a national outfit they will have to have been through the Green Deal accreditation process otherwise they won’t be authorized to carry out the work. Whoever you choose to undertake the work will contact your energy supplier so that payments can start to be collected via your electricity bills. Your energy provider will then write to you to confirm the details. You will be able to pay off your Green Deal loan early, if you wish. However there are likely to be redemption fees and charges could be quite substantial, depending on the cost of the work you have chosen to get done. Green Deal providers include the companies who arrange the finance for the loans and the energy providers who add the repayment charge to energy bills. Providers are responsible for setting the financial terms of the agreement and are also responsible for warranties/guarantees. Based on an assessor’s recommendations, the provider offers a Green Deal Plan to the consumer. Anyone selling Green Deal products will have to a) be accredited to do so and b) have been through the Green Deal training process, which is hoped will cut out mis-selling. Should a dispute arise customers will be able to address their issues with an ombudsman.